يشكل فندق Bay Lodge Apartments بموقعه الممتاز في قلب سارفرس باراديس نقطة انطلاق ممتازة لاستكشاف جولد كوست. يمكن من هنا للضيوف الاستمتاع بسهولة الوصول إلى كل ما تقدمه هذه المدينة النابضة بالحياة. يضفي محيط الفندق اللطيف وقربه من Adrenalin Park, Slingshot Gold Coast, متحف الشمع سحراً خاصاً على هذا الفندق. استمتع بالخدمات الراقية والضيافة التي لا مثيل لها بهذا الفندق في جولد كوست. هذه بعض الخدمات الموجودة في هذا الفندق: واي فاي مجاني في جميع الغرف, تسجيل وصول/خروج سريع, تخزين الأمتعة, واي فاي في المناطق العامة, صف السيارات. في الفندق غرف نوم يتجاوز عددها 14، كلها مجهزة بعناية وجمال وبعضها مزود بـ تلفزيون بشاشة مسطحة, غرفة معيشة منفصلة, اتصال لاسلكي بالإنترنت, اتصال لاسلكي بشبكة الإنترنت (مجاني), غرف لغير المدخنين. يقدم الفندق خدمات رائعة كمثل حوض استحمام ساخن, مسار جولف - ضمن 3 كم, حمام سباحة خارجي, سبا, ملعب تنس لمساعدتك على الاسترخاء بعد نهار طويل من النشاط والتجوال في المدينة. يشكل Bay Lodge Apartments بخدماته الراقية وموقعه الممتاز، قاعدة مثالية للاستمتاع بإقامتك في جولد كوست. convenience and location are awsome, peace and serenity and all the amenities you could ask for including parking. Very clean amd modern. All facilities and appliances you need. Some dishwasher tablets would have been handy but bought some and can use at home. Great central location walk to beach shops food entertainment. Great parking and facilities and great security. Stayed here for 5 nights. Clean place comfortable bedding, staff very friendly. Walking distance to the centre of it all. Will stay here again. 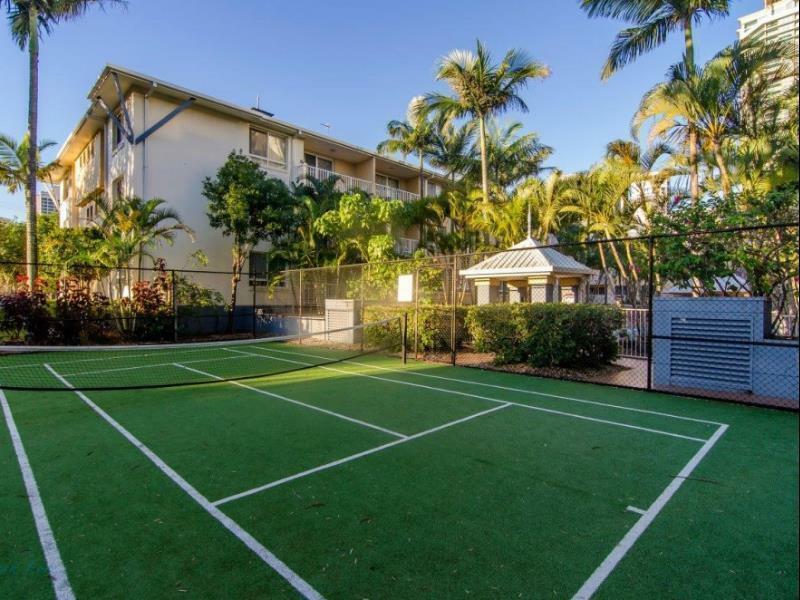 A quiet location but very close the the lively, buzzing centre of the Surfers Paradise. Pros: excellent location, great pool, spa, car park, fair price. Cons: 1/. the beds (all of them) were terribly hard and uncomfortable. We slept poorly due to feeling springs in the beds and woke up sore and grumpy. 2/. We stayed for 10 nights and even though they are not serviced apartments surely they could have replaced our towels and sheets, soap, dish-washing soap, tea/coffee every couple of days. If you stayed for a couple of nights that's acceptable... but for 10 nights I think we should've been looked after a little better. Neat and tidy apartments. Affordable. Short walk to cavill ave and beach. Public transport to all theme parks just around the corner. Staff very friendly. Would stay here again! Pros are the location, the facilities and the size of the apartment. Cons are the remote of the fan didnt work as we were checking out. Stay at 2bedroom apartment, clean, nice and simple deco. Free parking for inhouse guest, easy access to highway, close to coles and woolworth and surfers paradise. Nice and quiet off the main roads, Showing wear and tear. We enjoyed our stay,walking to the beach and Mall each day, this property is good value for money if you are not too fussy. Mould in showers was the only let down. Otherwise I would recommend. Ppl smoking in next room trying to cover it with deodorant, a bloke washed his car in under ground car park right to access.stairs, no one at office to check in had to constantly ring to get service took 10mins standing on door step using 'courtesy' phone! Then was asked to give credit card details on door step!! Our 2 week holiday in Jan 2016 was great. Location is perfect. My only issue is that it is not child/toddler friendly around BBQ/Pool area. Families with toddlers cannot have meals down in the BBQ area as the pool is not fenced off from BBQ & eating area making the area unusable for families with toddlers to have outside meals. for the week we stayed in a two bedroom apartment. it was fine for us. 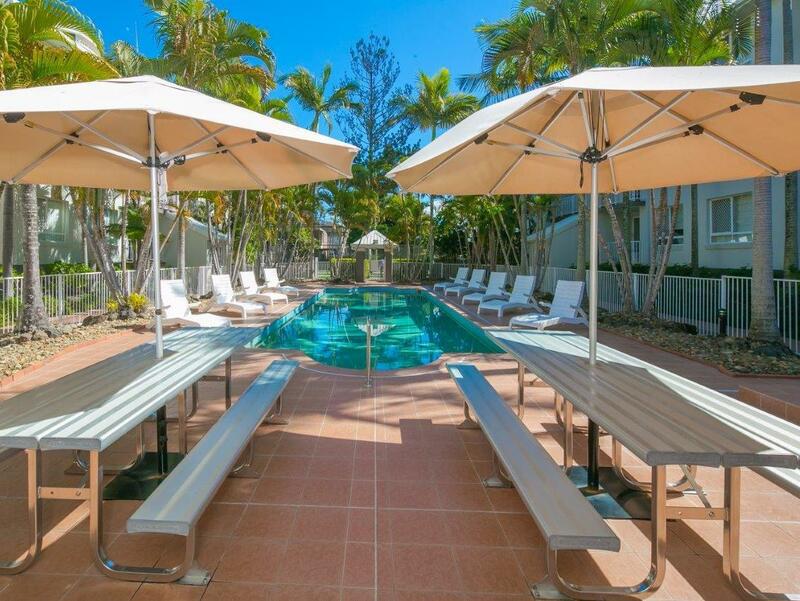 it's not a place with a wow factor - which the blue skies and constant Queensland sunshine make up for anyway. instead we had the satisfaction of knowing we were getting a big place to stay in plus cooking facilities and wireless internet for a good price. My stay here was comfortable except for the noise came from other dwellers at night. Water pressure was strong and good, kitchen was well equipped . 5 mins walk to Cyperus Ave tram station. One stop away from Cavill Ave, very convenient. The receptionist was friendly and helpful. Value for money, good kitchen facility all provided. A rice cooker would make a complete one. Very quiet place. Easy to park as parking provided at the basement. 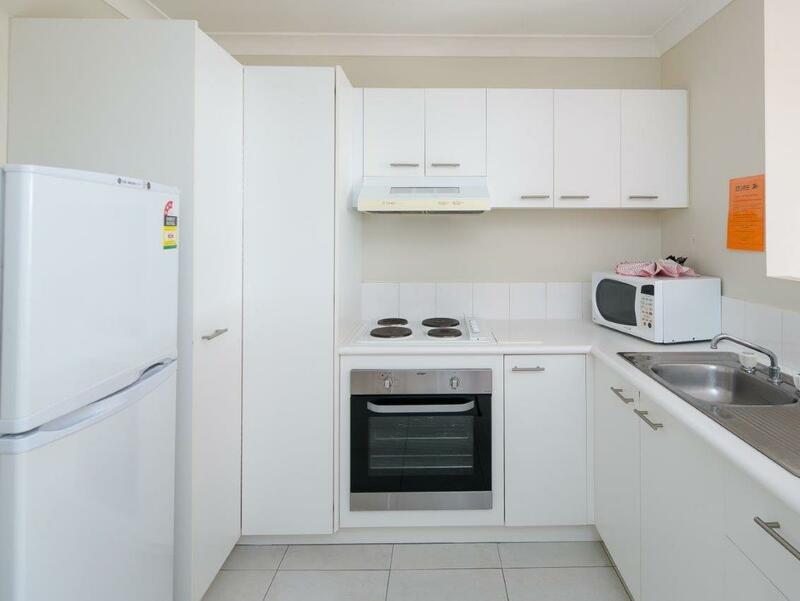 A great 2 bedroom apt to stay of 10mins walking distance to main attraction in surfers paradise. Love to cook here as kitchen almost equipped. I would strongly recommend to family with children. Easy to check in and check out without having to meet the staff. No hassle.